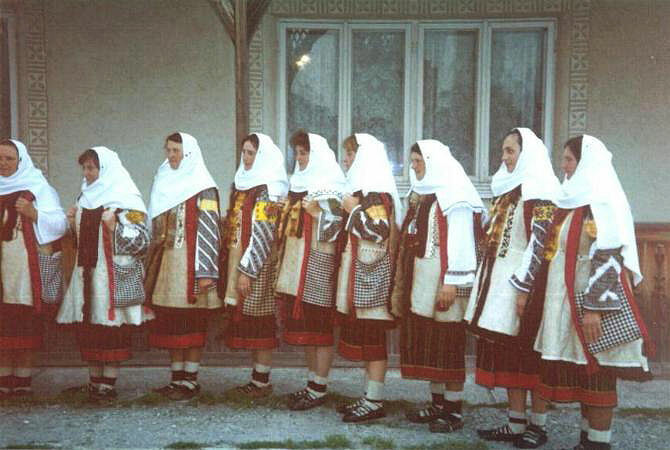 Long sheepskin waistcoats with flared ‘skirt’ called pieptar cu poale worn by women. Edged with fur and decorated with embroidery on front edges. Photo taken in Bilca, Suceava county, in summer 1999.